Stereoscopy – what, how, when and what happened to 3D TV? You’ll find stereoscopic displays widely implemented in a multitude of applications ranging from operating remote devices, television and video games, scientific visualisation, computer-aided design, to medical surgery, and, of course, entertainment. The technology and 3D effects have contributed enormously in enhancing the user experience. But what do you really know about stereoscopy? What happened to 3D TV? 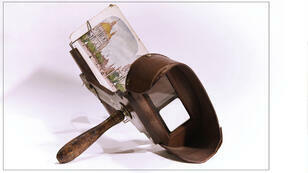 The term stereoscopy comes from Greek: stereos (means firm or solid) and skopeo (means to look or to see). Sir Charles Wheatstone was one of the pioneers of the field and the inventor of the stereoscope – the first "3D" solution – back in 1838. The stereoscope was used to view a pair of images of the same subject taken from points approximately the same distance apart as human eyes. With the invention of the stereoscope (pictured), he showed that two images can be combined by the brain and perceived as having depth. In 1861, the Kinematascope animation camera debuted. The first anaglyph movie was produced using Kinematascope in 1915. And, in 1922, the first public 3D movie, "The Power of Love," was launched. The 1960s saw the arrival of Space-Vision 3D It was quite different from the existing technology as it removed the requirement of using two cameras for displaying 3D movies. "The Bubble" was the first movie created using Space-Vision 3D technology. In 1970, another new 3D technology premiered: Stereovision. In this technology, a special anamorphic lens was used in which the width of the picture was increased using Polaroid filters. “The Stewardesses” was the first stereovision movie released. In 1986, the first movie, "Echos of the sun", based on Polaroid glasses was released. In the 2000s, numerous movies were released, before 3D cinema culminated with the blockbuster Avatar, which has grossed more than 2,7 billion USD. In 2010, as 3D televisions became popular there were channels displaying animated shows, educational shows, sports all in 3D. There are three key terms associated with stereoscopy: interocular (Interaxial) distance, zero parallax plane, and stereo type. The reason we have the perception of depth in the vision is the interocular distance – the distance between your two eyes. Generally, in humans, the interocular distance is 63 mm or 2.5 inches. There is a slight difference between the vision of the left and right eye. In terms of photography, this distance is termed as interaxial distance. This distance should be adjusted to a proper amount as shorter or longer interaxial distance will not produce the desired 3D effect. Basically, whenever you look straight, the eyes are in parallel to each other. But when you focus on a particular thing, placed right in front of you, then the vision of both eyes meets at a certain point, which is known as zero parallax plane. Check it out: Place a finger in front of you, and then focus on the finger. You’ll see that the vision of both eyes intersects at a certain point. 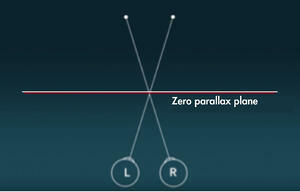 While viewing stereoscopic content on a screen, the computer monitor or the screen of the local cinema, the zero parallax plane can be thought of as the surface of the screen. 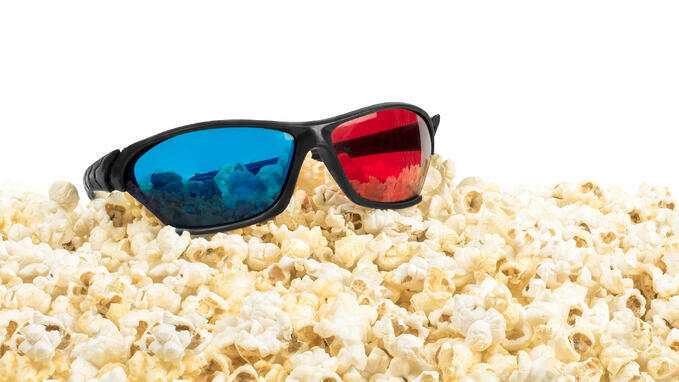 RealD 3D: One of the most common and popular forms of 3D technology, widely implemented in theaters. In this technology, glasses are used which polarise the light so that both eyes could see a slightly different image. 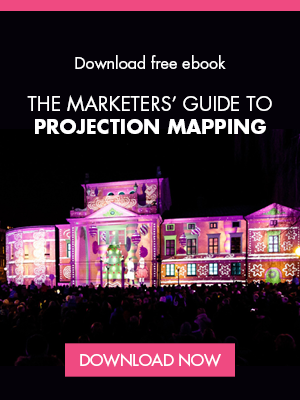 The end result for the user is an interactive and immersive experience. RealD 3D is a registered trademark of RealD (US). IMAX® 3D: Developed by the IMAX Corporation, Canada, and synonymous with large scale experiences and high-quality sound. Dolby 3D: Dolby is a registered trademark of Dolby Laboratories, Inc. In this technology, the three primary colors; red, green and blue, are divided into two different wavelengths. One of the left eye and another one for the right eye. It is generally considered one of the best technologies for watching 3D movies. The glasses that are required for Dolby 3D are quite expensive, with a different coating on each side of a glass in order to filter out particular light frequencies. This technology was developed by the German company INFITEC. Active and passive stereoscopy are the two types of 3D display technology mainly used today. Active stereoscopy requires glasses with built-in electronic components. On each side of the glass, there is a liquid crystal layer, which seems transparent in normal conditions but becomes dark when voltage is applied. Coordination between both sides of the glasses is controlled with the help of a timing signal. This signal helps in synchronising the images fed to the left and right eye to give the 3D effect. The glasses are rather bulky as batteries or connection are required to power them. Passive stereoscopy (also called passive 3D) glasses are usually used for viewing 3D movies at cinemas. In this type of stereoscopic technology, the left and right images are superimposed on a screen with the help of polarising filters. In order to preserve the polarisation, a silver screen is used for projection of images. This kind of projection method works well for large groups and the glasses needed are very cheap and lightweight, compared to the active ones. The only disadvantage of having a passive display is that each of your eyes will see only part of the image. This ultimately leads to less precision in the display. The INFITEC (or Dolby 3D) is also a passive 3D technology, but it uses as described above optical filters with separate wavelengths compared to the polarised passive 3D. And What happened to 3D TV? 3D TV was a big thing in the late '00s. But it did not last very long. As of today, most 3D TV sets and services are no longer available, with LG and Sony being among the last manufacturers to cease support of 3D features. Bad time to introduce: 3D TV was introduced just as all over-the-air TV broadcasting was moved from analog to digital. Millions of people had just bought HDTVs between 2007 – 2009 to meet the broadcast requirements. Just a year later, 3D TVs were introduced. Expensive and incompatible glasses: In order to experience 3D effects in your home or at your location, you have to wear glasses all the time. The main problem with the glasses was that they were not interchangeable. If you’d bought an active-glasses 3D TV, then you couldn’t use passive glasses – you’d have to make another purchase of active glasses. In addition to this, the active glasses were very costly (around $100 for a single pair of glasses). Extra costs: It also involved some extra costs as well, for example, a Blu-ray disc player in order to get access to a real 3D viewing experience. Reduced social experience of watching TV: Watching TV, or a movie on a TV, is often a social thing you do with family or friends. Wearing glasses that weren't really comfortable, that made you look like a dork and that you needed to take off to have a normal look at the surroundings... Well, it did not do 3D technology any favors.